This Device holds your net securely when not being used. 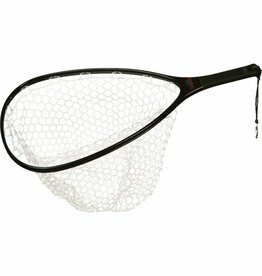 One hand operation allows you to release you net when needed by simply grasping the handle and giving it a tug. 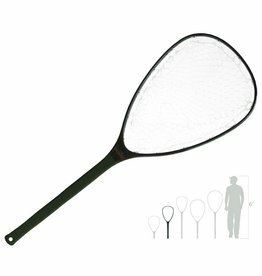 Features: 2 Strong nickel plated magnets provide 7+ pounds of pull to hold your net safely out of the way until you need it Just get the magnets close and they "jump" back together Equipped with 2 brass split rings to attach each end to your net, vest, pack, belt,etc. or use the holder of your choice such as cords catle-ties, or clips. The units are molded from durable yet lightweight UV rated vinyl that prevents sun damage. 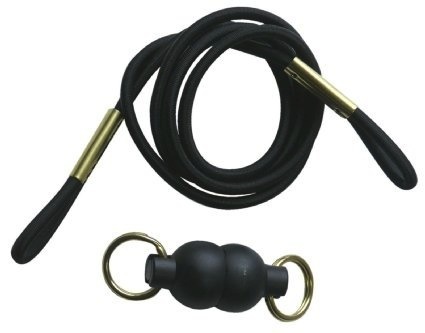 Bungee retainer cord is included. 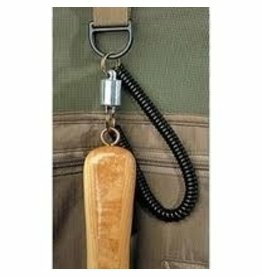 The patented Orvis-exclusive coiled lanyard provides plenty of reach when needed, and retracts out of the way when not in use. The magnets have 5 lbs. of straight pull for good holding strength. Aluminum split rings for attachment. Made in USA.